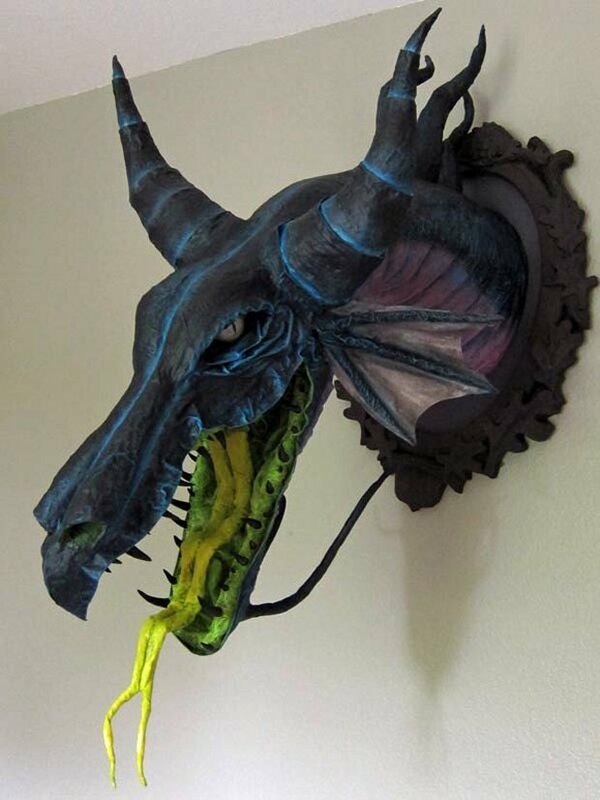 Maleficent and Sleeping Beauty fans will want to check out this cool project by Dan Reeder, who in his spare time likes to slay dragons and mount their heads on his wall. 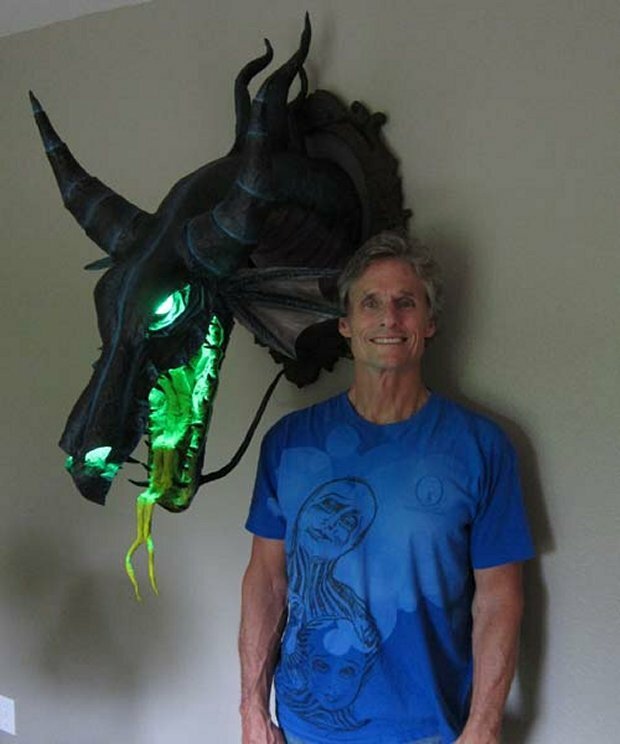 This dragon trophy was a custom commission that he sold for $2000(USD), and it looks pretty amazing. 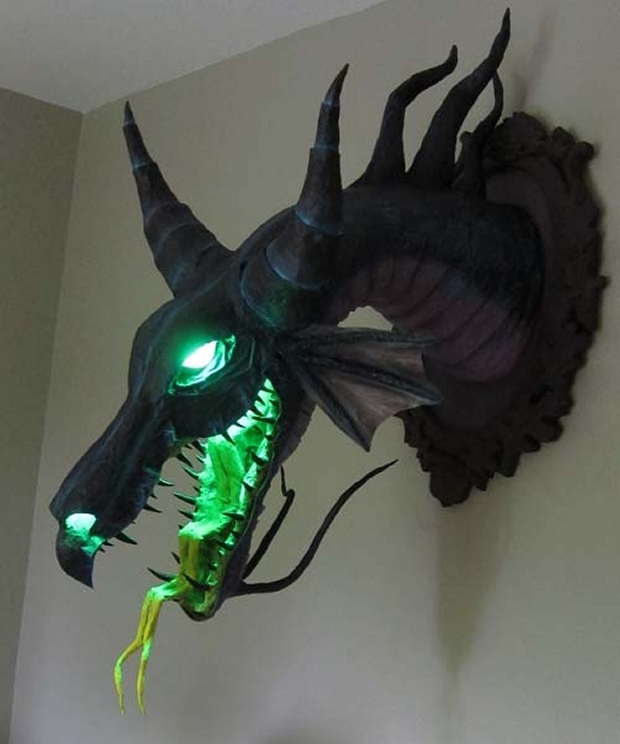 The dragon’s head is made out of paper mache and mounted as if he Dan hunted the beast himself and dragged it home. 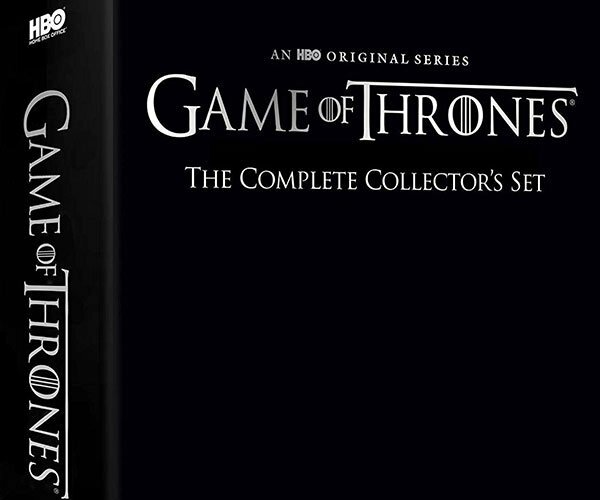 The details are really nice. 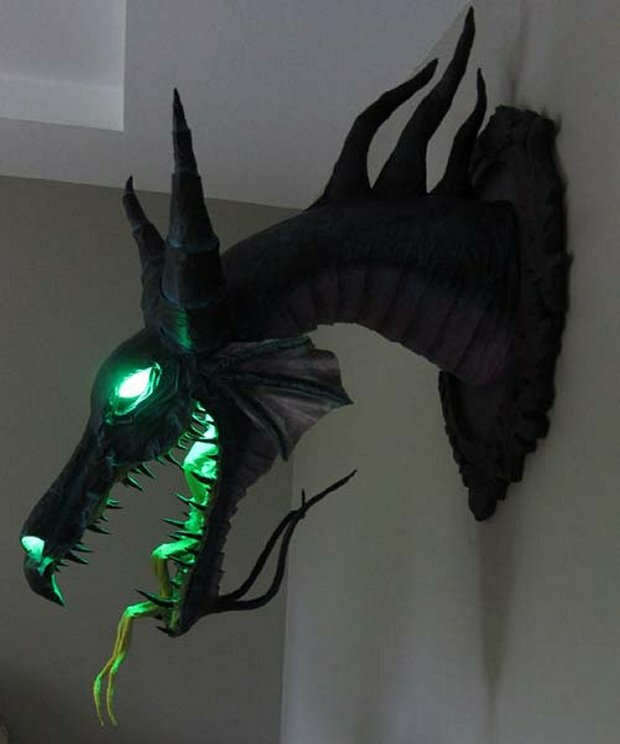 This sculpture is a great reproduction of the original Maleficent dragon from Sleeping Beauty, and even has glass eyes and LED lights to give it that extra scary something that every dragon needs. 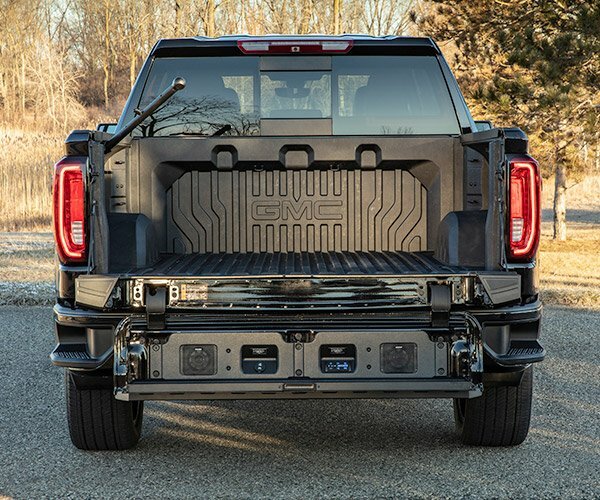 It makes one heck of a night-light and would be super scary in the dark.